Double hole pendant, 22K gold finish pewter, B'sue by 1928, stone or cameo mount, mount, US made, lead free pewter. Made by the 1928 Company for our special cast pewter findings line, hand-selected by us. 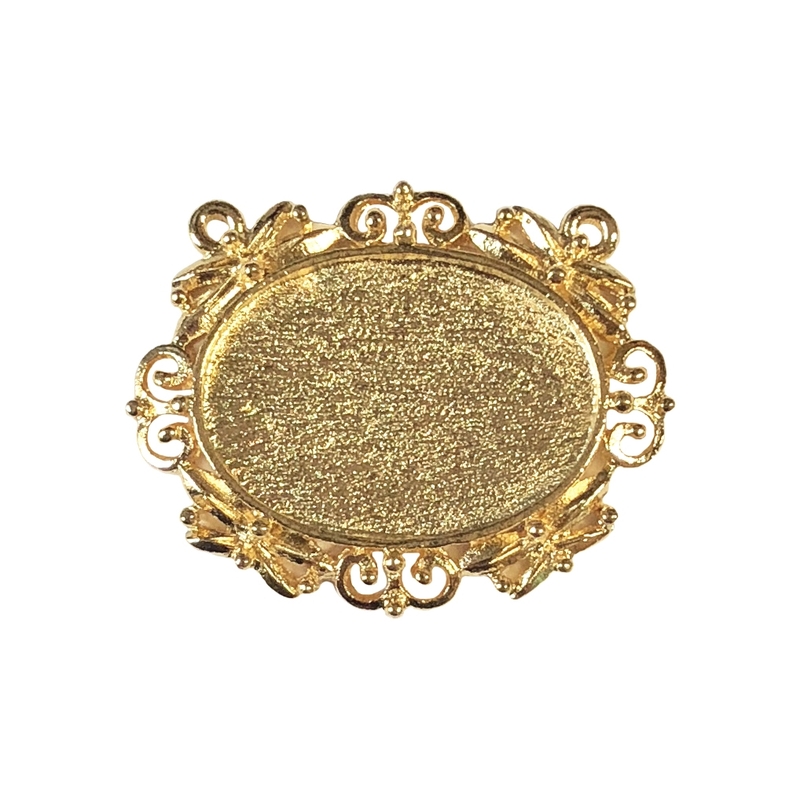 Handsome, weighted 25 x 18mm mount (may be slightly snug) is the perfect thing to mount your beautiful vintage cameos and even semi precious stones. Open designer border. Closed back with double hole pendant design. Signature 1928 Company swirled impression on the back. 22K Gold Finish is a rich bright gold wash over the pewter. Very strong and sturdy, it is lead and cadmium free as are all our finishes at B'sue Boutiques.